[2015 Aug] The Age of Autism Week In a Number: 1938 "Olmsted and Blaxill (again) show that Autism had a start date, and it was after Eli Lilly invented and began selling a water soluble form of mercury in fungicide and vaccine preservation." Kanner was the world’s leading expert in child psychiatry. He was the leader in the field at Johns Hopkins. In 1935, he wrote a textbook that was over 500 pages long that had detailed, exhaustive descriptions of every possible malady of childhood that he and his colleagues had ever seen. 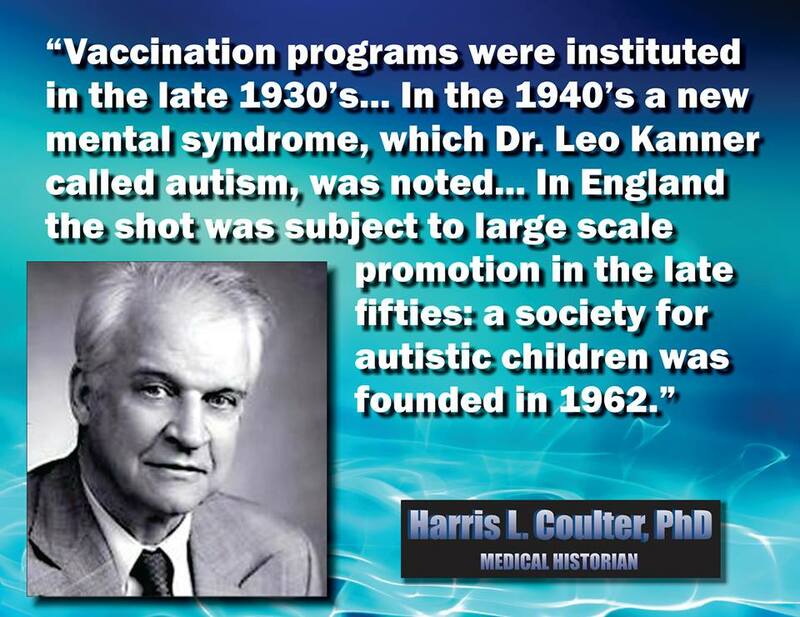 There’s not one mention of autism in that 1935 textbook. When he wrote his paper, published in 1943, he said, “Since 1938 there have come to our attention a number of children whose condition differed so markedly and uniquely from anything seen before that each case merits – and I hope will receive – a detailed investigation of its fascinating peculiarities.” So here is the world’s leading expert on child psychiatry who has already written a textbook. In 1943 he writes that in the last five years, we’ve started to see children and they’re unlike any children we’ve ever seen before.